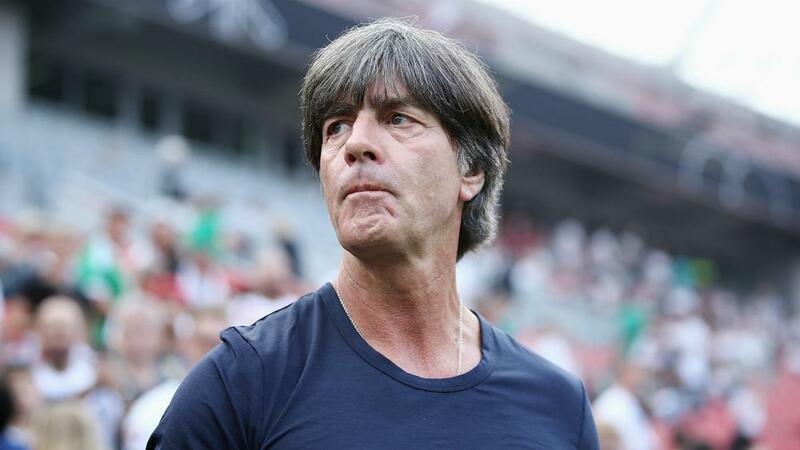 Joachim Low feels rivals France, Spain, Brazil and Argentina have all improved and will be gunning for Germany at the World Cup. Joachim Low believes the World Cup's best teams will have extra motivation to stop Germany and prevent him becoming the first coach in 80 years to win the game's biggest prize for a second time. After guiding Germany to glory at the 2014 World Cup in Brazil, Low's side reached the semi-finals of Euro 2016 and won the 2017 Confederations Cup. They are the top-ranked team in the world going into the tournament. The 58-year-old head coach, who is preparing his squad for Group F matches against Mexico, Sweden and South Korea, said he expects the biggest teams in the tournament to be out to beat his men. "If you are world champion, Confederations Cup winner and number three in the world for three or four years, then you will be especially hunted," he told SID. "Every team wants to overthrow the defending champion." Low hopes to emulate the last coach to lift the World Cup trophy twice - Vittorio Pozzo, who won the competition with Italy in 1934 and 1938 - but thinks Germany's major rivals have grown stronger in the last four years. "To be world champion once again means a lot to me, of course. That would be something historical. But I also feel some humility over the seriousness of the task. "Everything has to be right to win a title, and at a certain point other factors will play their part as well, because the teams are similar in their quality. "Little things can have a huge effect."